Do I Have to Sue the Underinsured Motorist’s Insurance Company? No, you do not have to sue the underinsured motorist's insurance company but it might be good to give them notice of the suit against the driver. What Do I Need To Do After An Accident With An Uninsured Driver? As long as you obtain a genuine award against the underinsured motorist, you do not need to sue his or her carrier in order to collect the proceeds. However, you might have to give that carrier notice of the lawsuit as well as the opportunity to intervene to make their case. What's The Difference Between Filing An Insurance Claim And Filing A Lawsuit? There is a world of difference between filing an insurance claim and filing a lawsuit. It will be important to grasp this distinction if you are involved in an accident with an uninsured or underinsured driver. The critical point is that insurance claims arise out of contract but lawsuits arise out of laws. The ability to bring them, the procedures by which you must bring them, and the recoveries they allow stem from these two different sources-law and contract. Therefore, before bringing a claim or suit, you should study the policy, case, or statute closely. It will dictate your success. To better understand your rights vis a vis court or insurance, speak with our attorneys. The Rosenfeld Injury Lawyers LLC have a lot of experience helping victims recover under both especially against uninsured or underinsured drivers. Worried About Who To Sue After A Car Accident? Rosenfeld Injury Lawyers LLC has helped many victims get the compensation they deserve through the legal system. 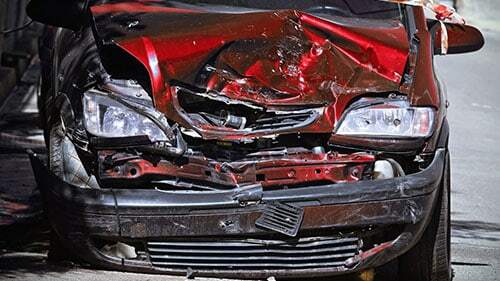 We can work with you to identify which party to file a claim against after a car accident. Plus, we can assist you on contingency which means that you don't have to pay unless you're happy with the award. To hear about how else we can help you, call our offices today! Are There Any Illinois Laws That Address Uninsured Motorist Accidents? Can I Just File A Claim With My Insurance Company Instead Of Going to The Other Party? Can I Pursue An Uninsured Motorist Claim Even If I Was Driving Someone Else? Can I Stack Insurance Policies On Top Of Each Other? Can I Still Pursue An Uninsured Or Underinsured Motorist Claim If I Settled With The Other Driver? Do I Have An Uninsured Motorist Claim? Do I Have to File My Uninsured Motorist Claim by A Certain Time? Do I Need to Give The Insurance Company Any Information? How Can Rosenfeld Injury Attorneys Help Me If I Have Been Injured by An Uninsured Motorist In Illinois? How do I Dispute What The Insurance Company Says My Claim Is Worth? What Are The Facts About Uninsured Drivers? What Are The Minimum Auto Liability Insurance Requirements In Illinois? What Compensation Is Available For My Uninsured Motorist Claim? What Happens If The Uninsured Motorist Does Not Pay Damages Awarded by A Court? What Have Other Plaintiffs With Uninsured Motorist Claims Recovered In Illinois? What type of compensation can I recover? How much have other people recovered in uninsured motorist cases? How does it work if I have multiple auto policies? How long do I have to file an uninsured motorist case? Do I need a lawyer for my uninsured motorist case?